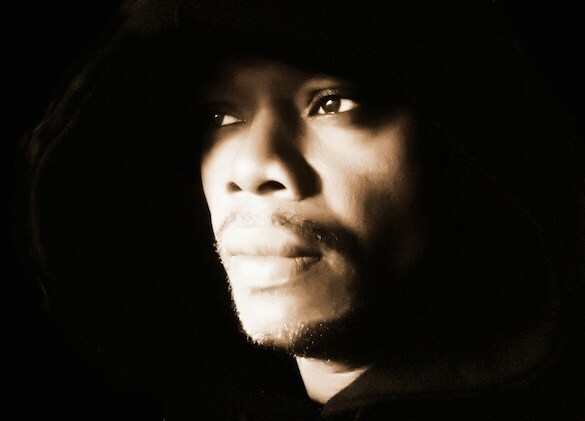 Talented DJ, producer, songwriter and vocalist Roland Clark is originally from East Orange, New Jersey and now resides in Atlanta, Georgia. 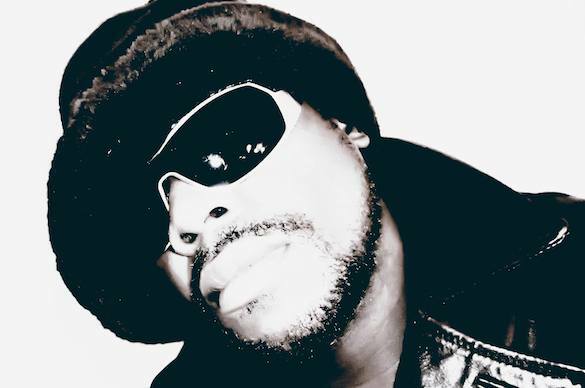 He has released well over 300 records over his 25 plus year career under various aliases such as Dark Clark, Digital Pimps, Houseboy, Jesus Jackson, Keita, People, South Street Player & Urban Soul. He’s also worked with the likes of Fatboy Slim, Armand Van Helden, Kenny Dope, Mark Knight, Todd Terry, Roger Sanchez, Sandy Rivera, Terry Hunter and countless others. If that was not enough, another highlight added to his illustrious career which further more solidifies him as one of the greats in house music was his recent induction into Pete Tongs Hall of Fame. You you can hear this below. Hello Guys, well I’m in Atlanta enjoying the weather and feeling great, in the gym lately working off some holiday pounds. 2) Obviously, the topic for today is your new ‘Afromation Album’ – tell us in your words a little bit about how it came to be and what you were trying to convey to your listeners. Afromation has some new and a few previously released tracks, remixed of course and in my 25th year in the music industry I wanted to honor my African ancestors and with it being black history month, I thought it would be ideal end of month release. 3) Tell us more about the ‘Afromation Album’. What was the main inspiration behind it and what prompted it’s musical direction? I wanted to write about something close to me, Afro House unlike any other genre always stirs up something in my soul, so to dedicate an entire album makes me feel that I’ve come full circle and I’m proud that I can share my take on this wonderful genre. 4) Where does your artist name emanate from, what’s its meaning & why did you choose it? I added the DJ to Roland Clark because it’s my primary job right now. 5) You have some great artists featured on the ‘Afromation Album’ – how do these types of collaborations differ from producing solo work? Not a big difference in my eyes, Madame Simone is a good friend who actually was reluctant on recording but after some DJ Roland Clark charm stew, she succumbed and laid down a serious vocal. 6) Apart from the obvious quality factor, how does an imprint garnish such established support from some of the biggest names in this game we call house? I think if the music is good it speaks for itself, and good music travels up not down. 7) What’s it like running Delete Records – and what do you want to accomplish as an imprint? I do the job of 10 people so it can be exhausting at times, but very rewarding. I eventually want to release other genres other than house music and hopefully get a major distribution deal with a great signing. 8) What keeps you both motivated after all this time? Tell us about the highs and the lows. What keeps me motivated at this point is my son Foxx, it’s important for me to succeed as so he can be proud of Dad. I really don’t have any lows, everything I do is a learning experience, so even when things do not go my way, it’s more than likely where I need to be at that moment and time. 9) Any interesting, funny, inspiring, memorable moments during the album process you can share with us? Yes, my neighbour, the one who usually bangs on the wall and call the police because of the loud music came over to ask for a copy of the album. 10) What are some of your personal favorite cuts from the album/release and why? Black Again, is one of my favorites, it basically outlines my struggles working in multiple genres and how some people try to use you to further their agenda. 11) What trax have been really tearing it up in club-land? 12) Share a few artists that have influenced your sound? It’s not just one artist, it all depends on the day, but if I had to say vocally it would be Prince. 13) What is the one machine, program, sound, drum machine, technique that characterizes your sound? 14) What is the one piece of kit that you simply cannot do without? 15) Any advice for your fans on how to make it in today’s fast paced game? Start with one person or group of people who feel what you do and keep the music coming, soon you will see a few people turn into many. Never stop. 16) What’s you’re opinion on the current state of house music? Beautiful for the music, sad for the business. 17) Where does a music media store like Traxsource fit into your musical agenda? Traxsource, makes it very easy to find new music, ever since the site update. I’m very happy with the job you guys did to make that happen. 18) Best gig of 2014 so far and why? South Africa, always feels like I’m going home to see old friends. 19) Where can your fans catch you in playing over the next few months and what is next for you? My next gigs are upcoming SOUTH Beach WMC 2014 Electric Beach March 22nd being one of them. 20) Tell your fans some interesting facts they may not know about you. Todd Terry always gives me little tips whenever I pick him up from airport on where I can take a particular piece of music, and I listen. 22) What’s next for you? 23) And finally, what would be your short list of dream collaborations, past or present – dead or alive? I always shoot big – Afro Jack, Steve Angello and one more for the road with Armand Van Helden. 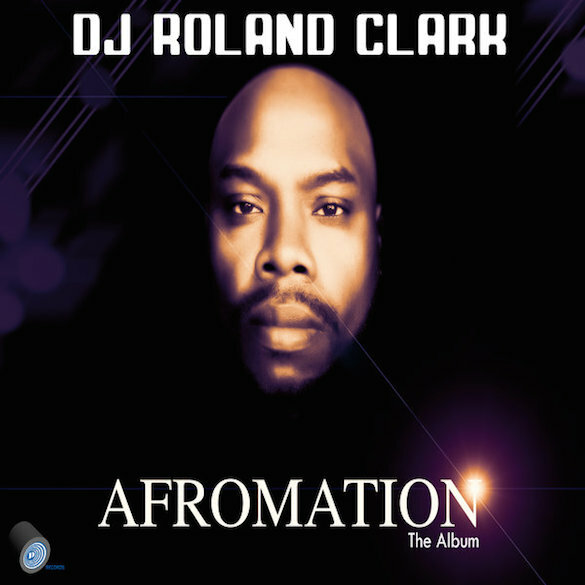 Roland Clarks latest Album release ‘Afromation’ is out now on Traxsource.